After the 16th century Reformation in England, commissions for religious art decreased and commissions for portraits increased in great numbers. The aristocracy had their portraits painted to send messages about wealth, social standing, and political status. Portraits were also used to legitimize the monarchy and the standing of titled court figures. Having a portrait painted by an acclaimed artist would send a strong message of a person’s high status. In the same way, generations later, families showed their important heritage by displaying portraits of their eminent ancestors. In Tudor England, Henry VIII’s court painter was Hans Holbein the Younger (1497-1543). 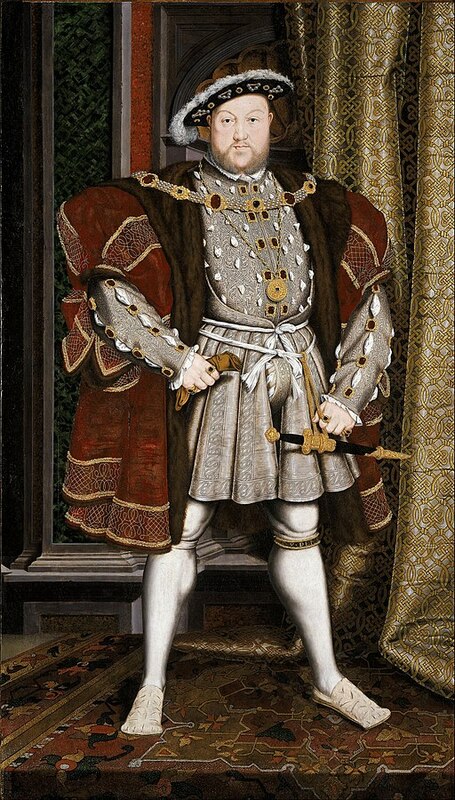 Holbein’s portrait of Henry VIII, painted in 1537, projects a powerful image of the monarch. Another 16th century British school painting of Henry VIII with Jane Seymour and Prince Edward established succession. In the painting, Edward is shown beside his father. Henry's two older daughters, Lady Mary and Lady Elizabeth, are placed away from him in the wings, decreasing greatly their importance as successors to the throne. Another early painter at the British court was Peter Lely (1618-1680), portrait artist to Charles I. Lely was Dutch, though his career was mainly spent in England where he arrived in 1641, close to the time another eminent Dutch British court painter, Anthony Van Dyck (1599-1641) died. Van Dyck had developed and made popular a style of portraiture in England influenced by the Dutch baroque that was more relaxed and naturalistic than previous styles. Peter Lely and his contemporaries continued this style. 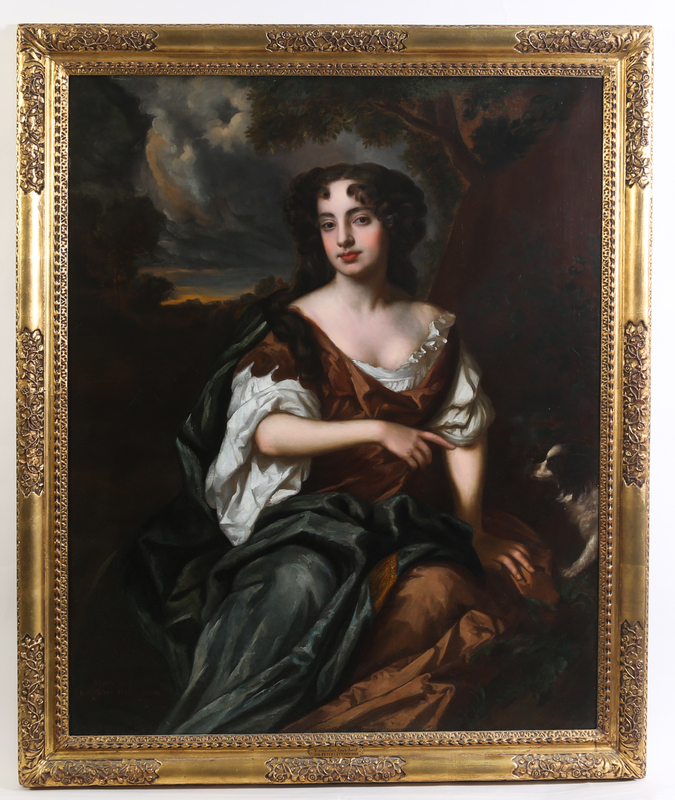 In Peter Lely’s portrait of Mary Ashe, Viscountess Townshend (a copy of which will be on sale on iGavel Auctions starting November 14th in A Sale of Fine Art and Antiques, closing December 5th) one can see some of the development of this baroque style, including dramatic contrast through the juxtaposition of light and dark, muted lines, and an atmospheric quality. Often depicted in a naturalistic pose, as opposed to the stiff stylized figures of Holbein, the physical details of the sitter are less realistic and often the sitter’s likeness is highly idealized. Later, in 18th century Georgian England, demand from the aristocracy, the fashionable, and even the middle class caused the market for portraits to flourish. Artists from Britain led by Joshua Reynolds (1723-1792) began to dominate the field. 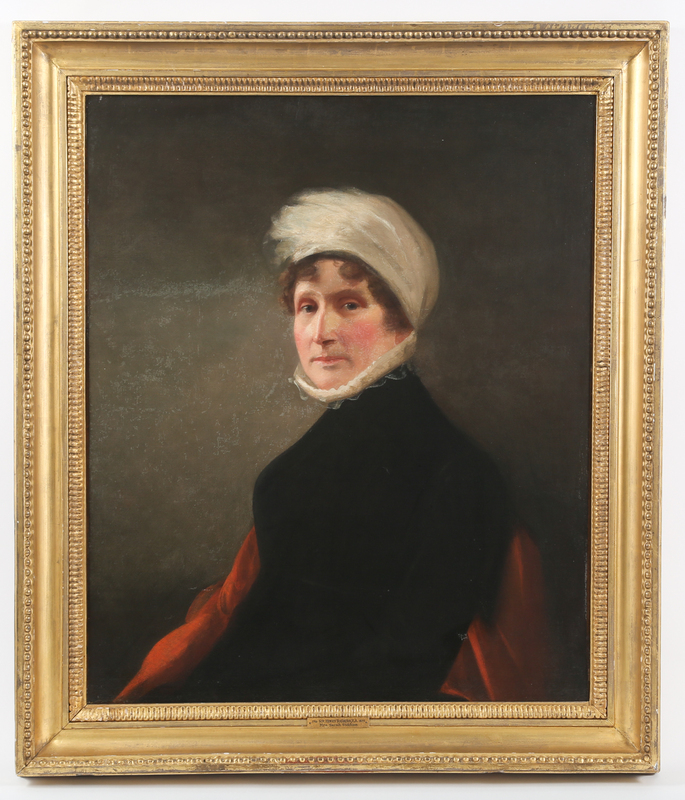 Most of the portrait and art work was centered in London at the time, but a portrait painter to King George IV, Sir Henry Raeburn (1756-1823) continued to live in his native Scotland. His painting is prized for its realism, its dramatic lighting effects, and true likeness of the sitter. 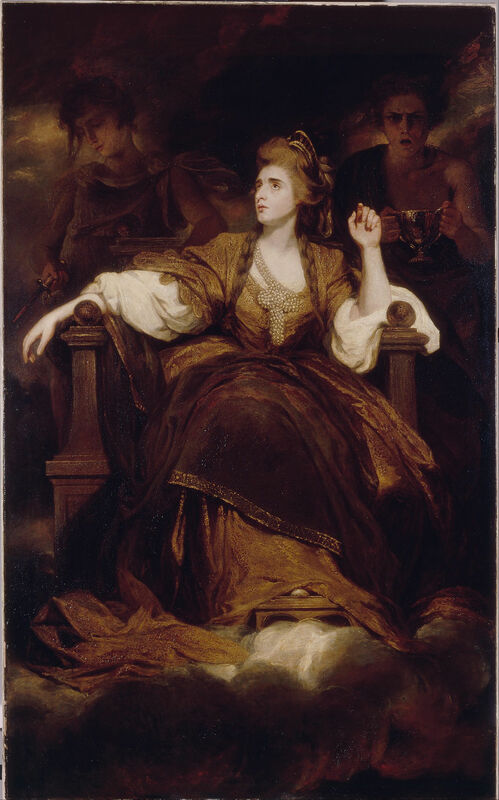 Raeburn was able to integrate less idealized depictions of the sitter with the naturalism developed in the 17th century, and his portrait of the famous Shakespearean actress Sarah Siddons (on sale now at iGavelAuctions.com) is an example of this dramatic mix. The painting by Raeburn is not an idealized image of the sitter, as is an earlier portrait of Mrs. Siddons painted by Joshua Reynolds in 1784; Raeburn's is a more true likeness, in many ways better conveying the the power of this great actress. Although portraiture in England evolved stylistically from the 16th century to the 18th century, the use and meaning stayed the same. Whether the sitter was shown in a stiff pose and a stylized manner or more relaxed and naturalistic with loose brushwork, the image was always meant to convey status.